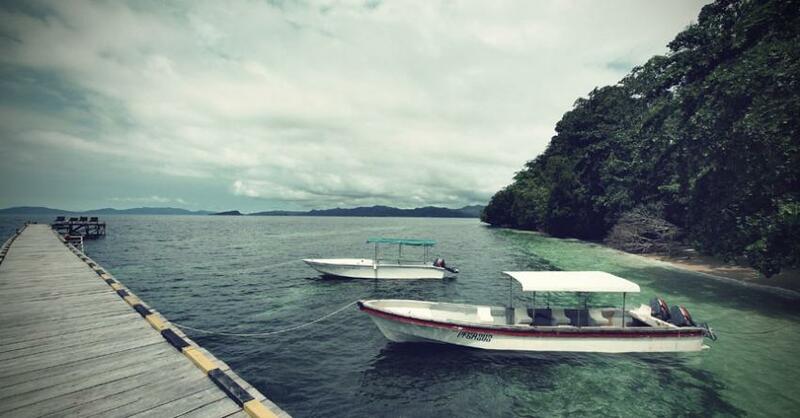 Raja Ampat Dive Resort is a modern cozy resort, that is surrounded by nature and offers a beautiful sea view from all rooms and from the restaurant area as well. Walk ten meters from your room terrace and get to our long desert beach, where you can take nice walks during low tide and visit the local villages. The resort offers twelve deluxe cottages with their own private terrace, ten doubles (32 square meters) and two family rooms (60 square meters). All the rooms are spacious enough to fit extra beds. All cottages are equipped with A/C, private toilet with hot shower, mosquito net, toiletrie... read more s, fan & drinkable water. Services include full board service. Tree meals a day are served in our bright and comfortable restaurant area. Raja Ampat Dive Resort cuisine includes international food served in a buffet. Different variety of plates, western and Indonesian, are served every day for breakfast, lunch, and dinner. Instructors & Dive masters More than twenty-five members of the staff are trained to help you in all you need during your stay. After your arrival at the airport, take a taxi to Sorong Ferry Harbor (you will find them parked at the arrivals gate parking area. Standard price for one way ride from the airport to the ferry harbor is 100.000 IDR/car. Cash payment only). Once you arrive, walk to the building on the left side and look for ticket sale. Ask for your ticket there to Waisai harbor with Express Bahari (always cash payment in Indonesian Rupiah) and choose your Economic ticket or VIP ticket. After...Continue reading you get your tickets, walk straight on until the end of the harbor and you will find the ferry entrance on the left side.